What is Best Antivirus? | How Antivirus Protects Devices from Threats? Computers cannot exist without antivirus protection. Especially in today's rapidly evolving cybersecurity threat landscape which throws out a new malware on almost a daily basis. But not all antivirus protection available in the IT security market is the same. Some are better than the others, some are no good at all. Therefore it's advisable to choose only the best antivirus if you wish your PC to stay protected against various security threats. In this blog, let's take a look at the answers to the question 'what's the best antivirus?'. So What's The Best Antivirus Software? Checks Everything Before Letting Them Into Your PC: Almost any application – be it a free download or a web service – can pose a security threat today. Therefore your antivirus software should check everything and anything before granting them access to your computer. This is usually done via blacklisting (not allowed by default because they've proven to be harmful), whitelisting (allowed by default because they've proven to be harmless) and testing unknown applications separately (because they are yet to be tested). Contains Solid Malware Surveillance or Monitoring System: What if your PC is already infected? Even before you install antivirus? Therefore it only makes sense to expect your antivirus to contain a solid malware surveillance system which monitors your PC(s) through comprehensive scans. This is not only useful in case your PC is already infected but otherwise as well, as the chances of the modern-day malware defeating the most secure security systems are pretty high. If such a situation arises, having antivirus equipped with malware surveillance system can minimize the damage greatly. Regulates Internet Traffic Efficiently: Another important security feature your antivirus should include. After all, effective PC protection cannot be implemented without regulating the internet traffic. Because the internet is the breeding ground for malware. Therefore your antivirus should have the mechanism to regulate the internet traffic. In other words, it should come equipped with a firewall. Offers Safe/Secure Browsing Environments: To protect sensitive online transactions, antivirus software usually include or offer safe/secure browsing environments which are definitely more impervious to malware attacks and security threats than your normal browser. Therefore look out for this security provision while selecting antivirus. Runs Antivirus Scans Even Before Your PC Boots Up: Some malware has the capacity to infect your PC(s) even before it's OS loads. 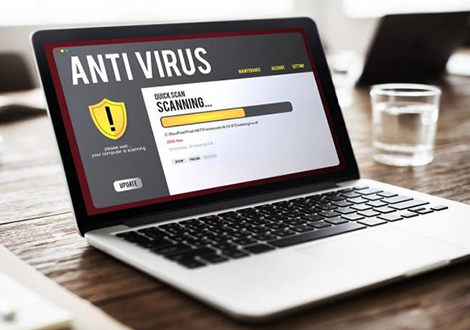 These are probably one of the most dangerous types of malware, as recovering from these infections is almost impossible – unless your PC is equipped with an antivirus software which contains pre-boot scanning capabilities. Another feature you should look out for. Offers Malware Removal Support: Finally, provision for malware removal – either through human analysis or other alternative options. You may question why do I need this while I have antivirus for protection. While this is a valid question, the fact that the cybersecurity threat landscape is changing rapidly and the chances of a malware escaping the securest of secure systems is higher than. Therefore PC users like you have to be prepared for the worst. Comodo Internet Security (CIS) which comes equipped with impressive security features like Default Deny Approach (implemented via Containment technology), Host Intrusion Prevention System (HIPS), award-winning advanced firewall engine and more, is the answer to the question 'what's the best antivirus software? ', as it fulfills all the requirements listed above. Let's take a look at its security features in detail. Secure Shopping – Security provision which allows PC users like you to execute online transactions in a secure environment free from security attacks. Rescue Disk – Security provision responsible for running pre-boot scans and thereby keeps your PC(s) safe against malware which targets PC(s) before the OS loads. Unlimited Malware Removal Support* – Subscribers to CIS gain the advantage of having security experts at their disposal 24/7. This implies if PC users like you have the slightest suspicion that your system is suffering a malware infection, then you can contact our security experts and they'll be glad to help you out!